It is the National Association of Rocketry’s Annual Meet. The National Association of Rocketry (NAR) is America’s largest and oldest rocketry organization. 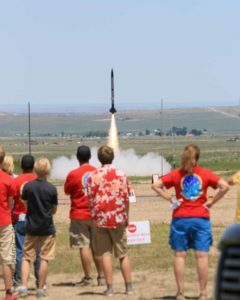 The NAR supports all aspects of safe consumer sport rocket flying, from small model rockets with youth groups to very large high power rockets with serious adult hobbyists. One aspect of model rocketry encouraged by the NAR is competition flying. 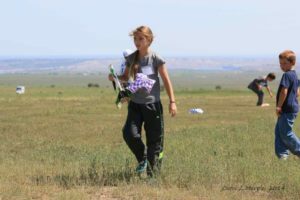 Participants of all ages compete in set events involving altitude, flight duration, payloads, and more. There are local, open, and regional contests held all over the country throughout the year. But each year there is one contest to rule them all. It is the annual meet at the national level. And this year is the 60th NARAM. Current NRC Standings— Check out the National Scoreboard for standings in the race for National Champion! When and Where is NARAM-60? Each year NARAM is held at different locations, hosted and organized by NAR affiliated clubs (sections). The NARAM 60 launch site will be at Hudson Ranch, South of Pueblo, CO. The dates are Friday, August 3 2018 through Friday, August 10. The hotel for this year’s event is the Courtyard Pueblo Downtown in Pueblo, Colorado. NARAM-60 is being hosted by S.C.O.R.E., the Southern Colorado Rocketeers, for more information about S.C.O.R.E., click here. Th club is located in Pueblo West Colorado with our main launch site elevation of 5477 Feet. Were a group of Men, Boys, Women and Girls of all ages who have discovered the enjoyment that building and flying model rockets has to offer. S.C.O.R.E. has been a very active club sine 2001, participating in many local events and youth organizations. Our membership continues to grow each year with over 50 club members at this time. Spectators are welcome to watch the rocket flying at NARAM. Please see the “Launch Field” page for directions and information about how to get to the launch field. If you have never flown rockets before or if you are a youth under age 14, you can get in on the action with the “Fly-It Take-It” program.